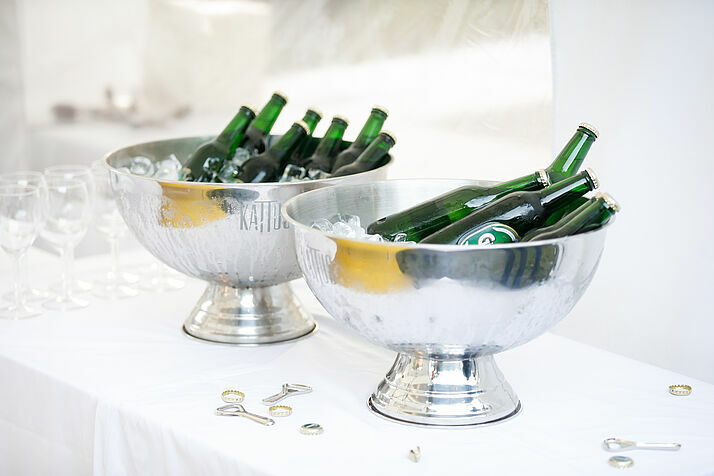 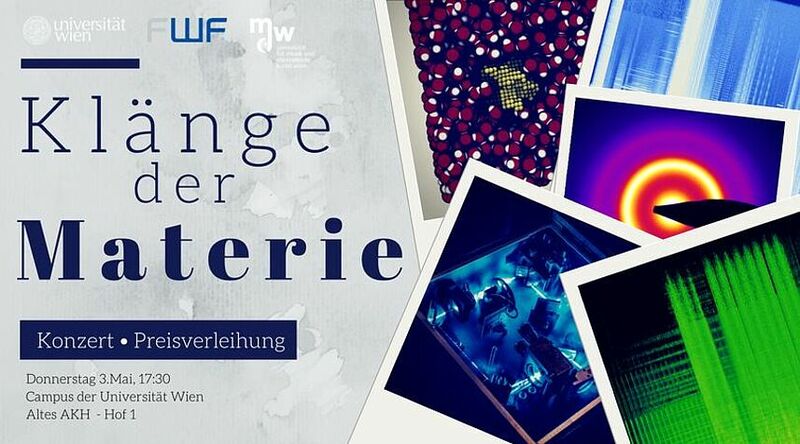 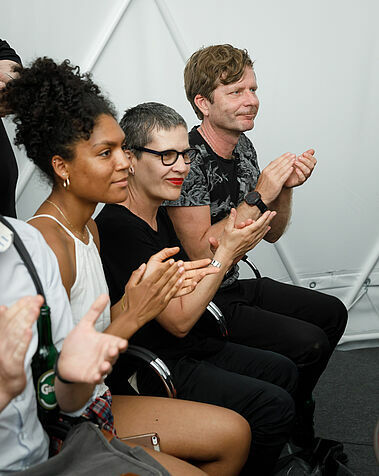 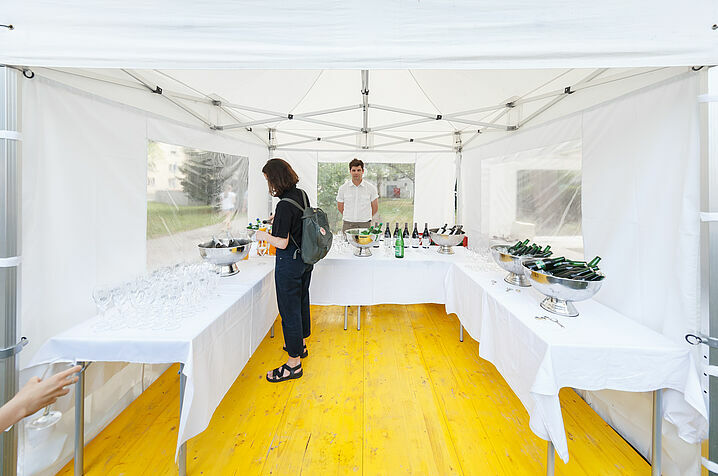 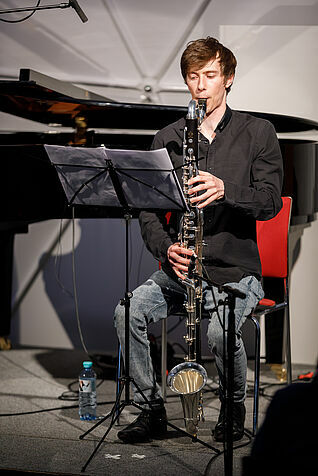 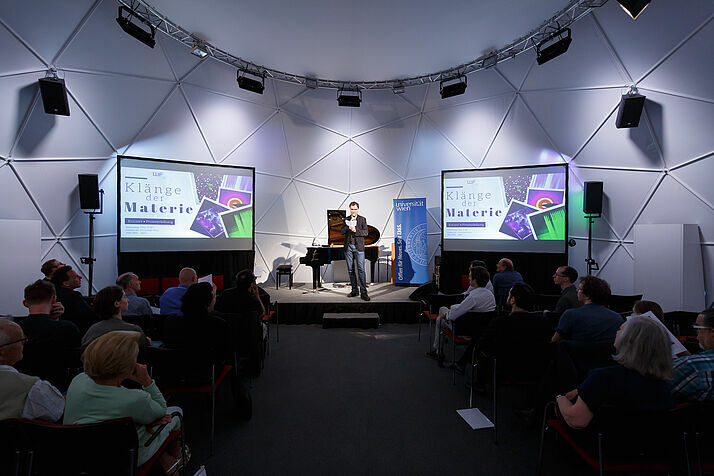 «Klänge der Materie» is a science communication project hosted by the Faculty of Physics of the University of Vienna, in cooperation with the University of Music and performing Arts. 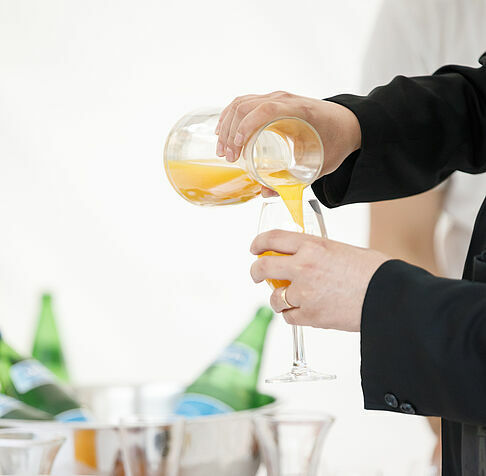 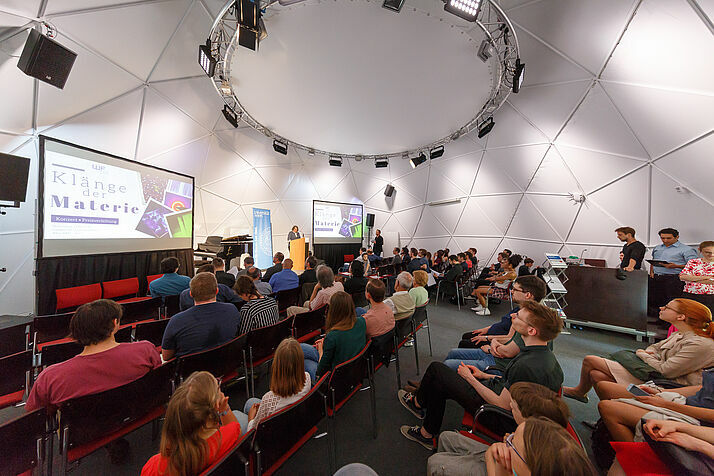 Its focus is on the materials science, which is an interdisciplinary field that describes the physical properties of materials, and helps create new ones. 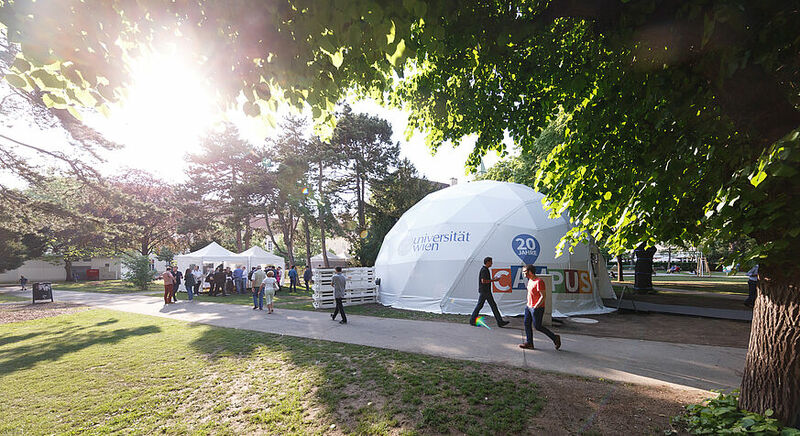 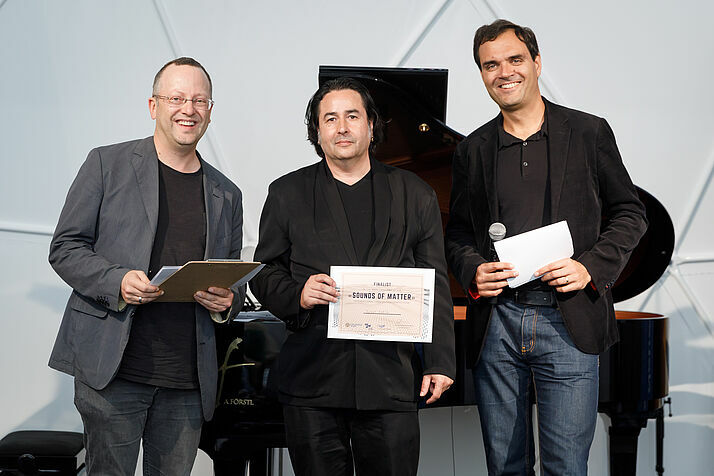 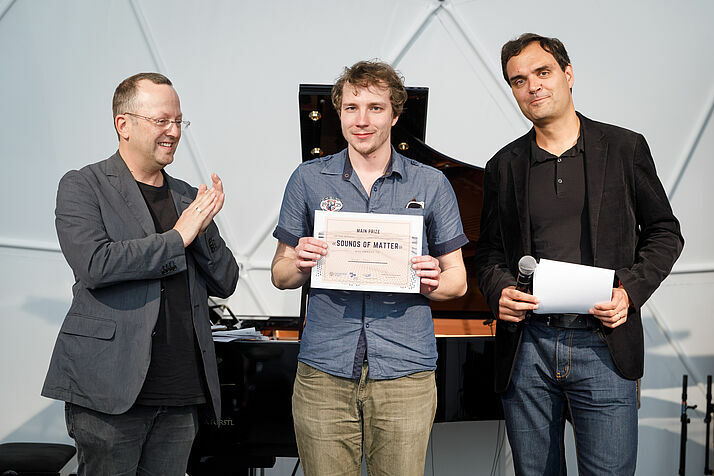 The core of the project is the international composition competition «Sounds of Matter». 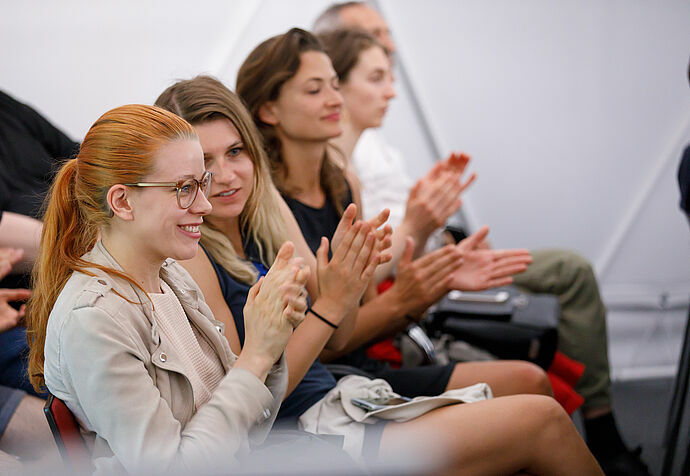 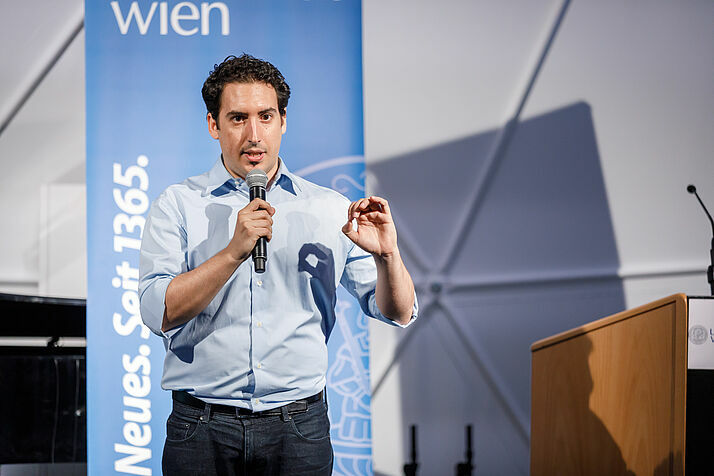 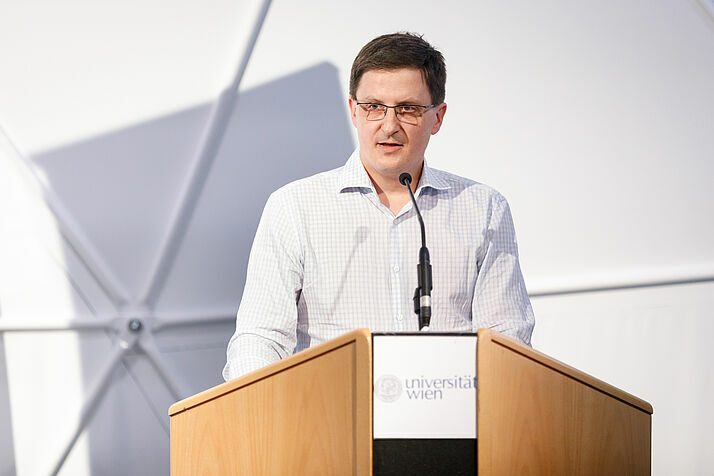 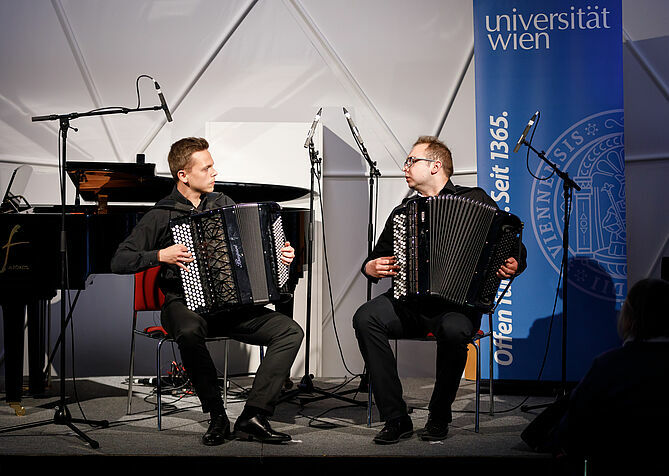 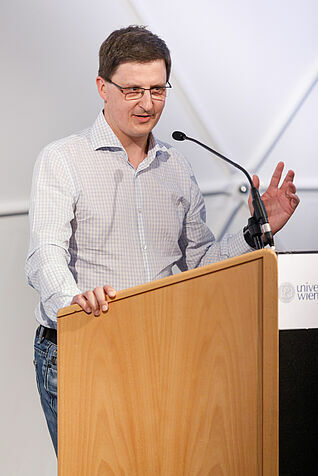 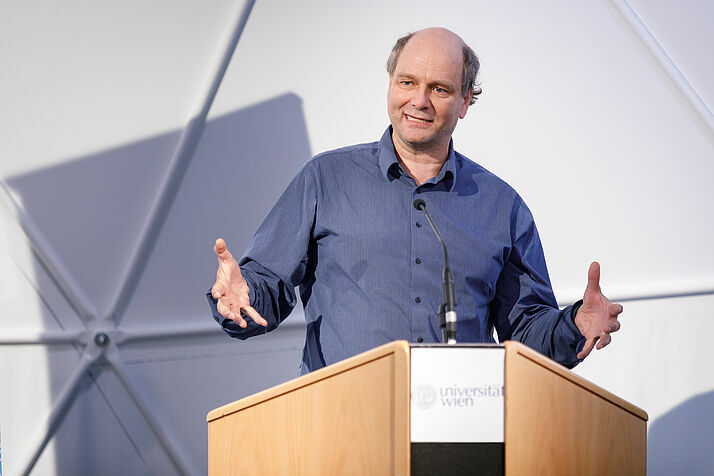 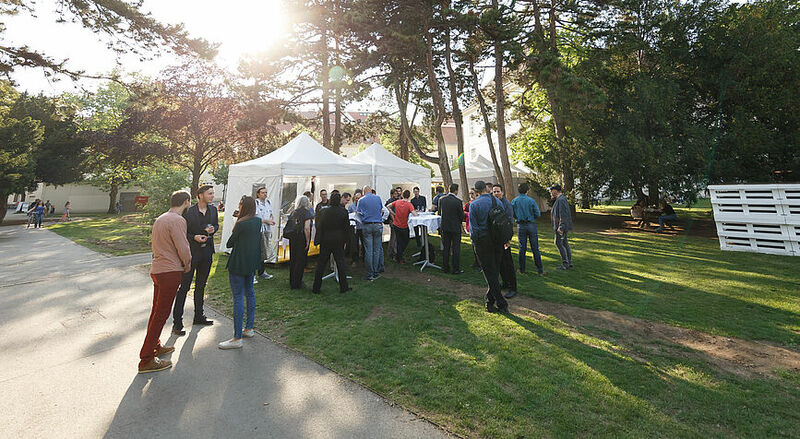 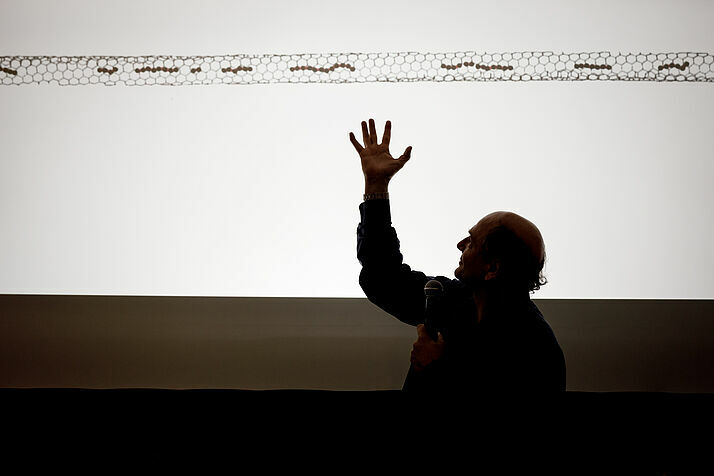 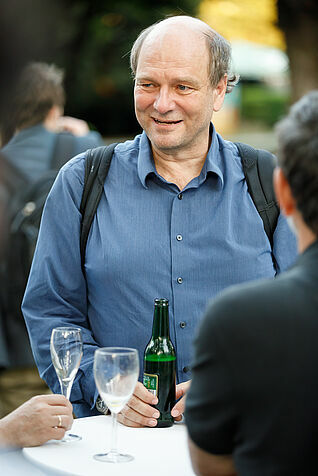 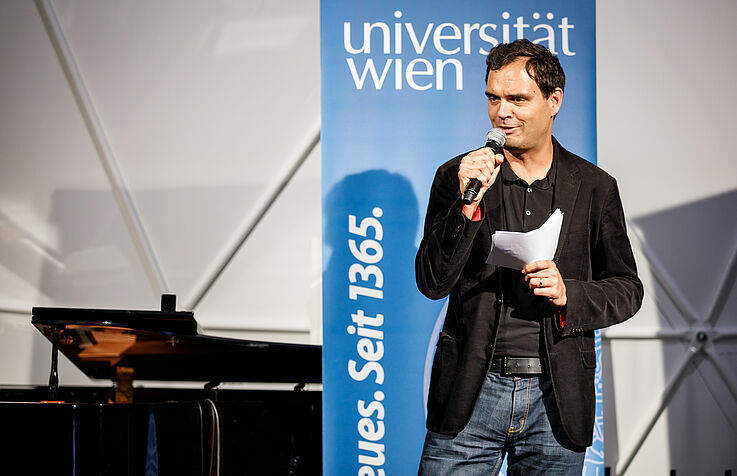 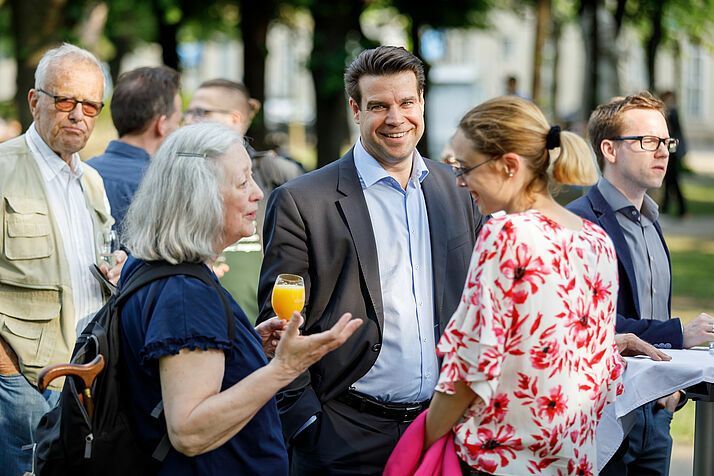 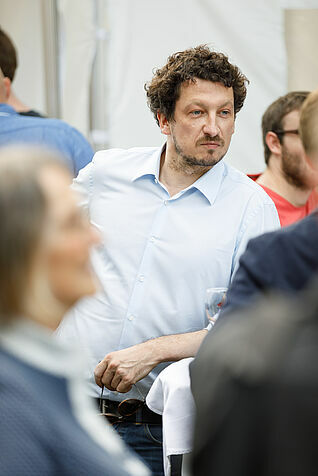 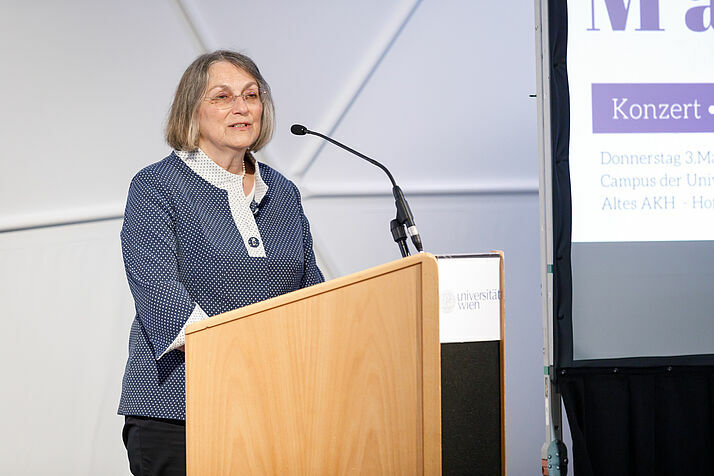 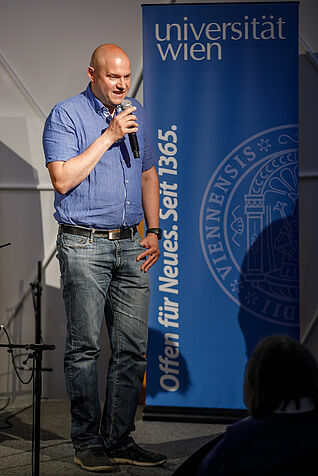 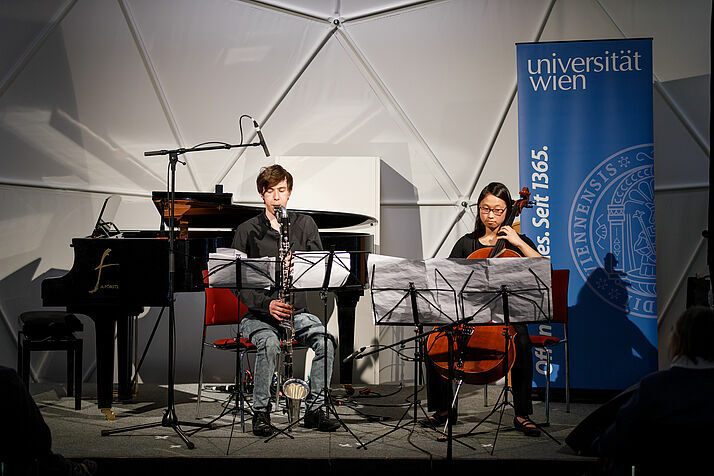 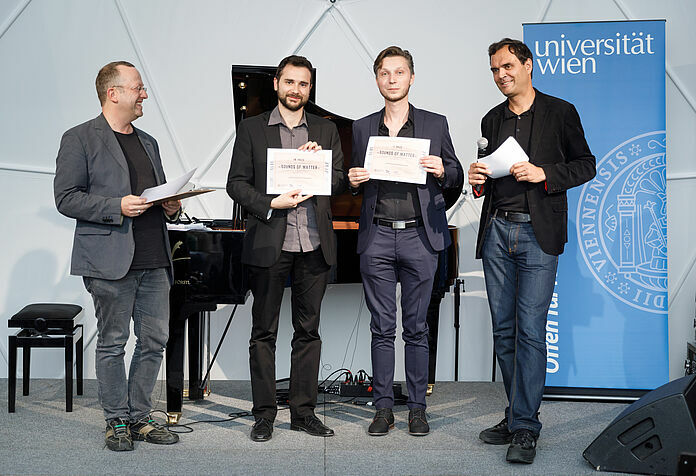 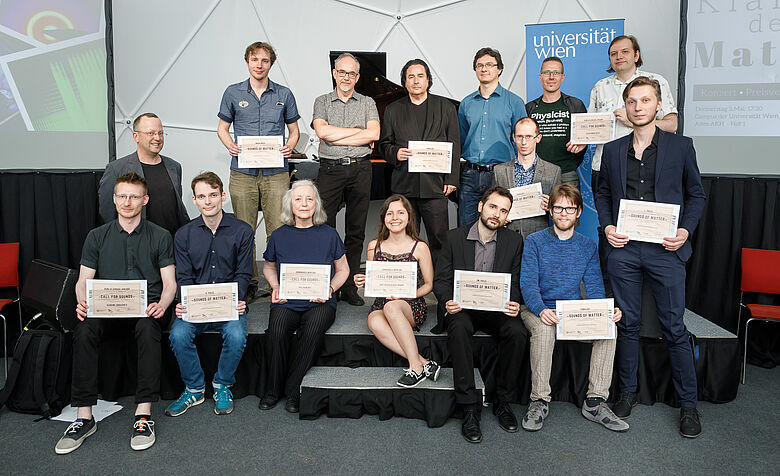 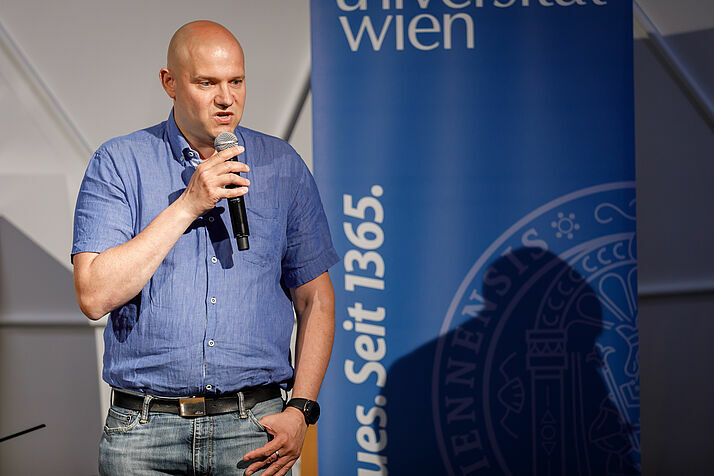 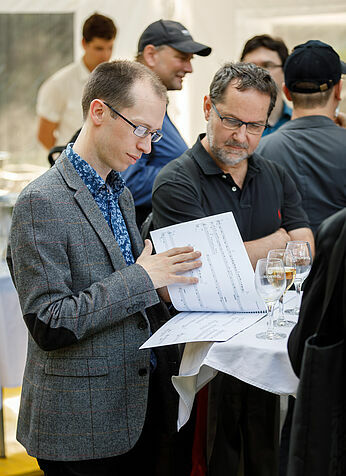 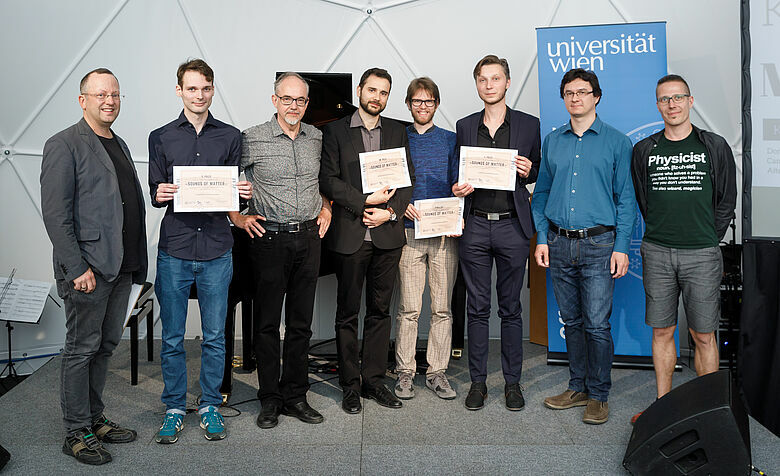 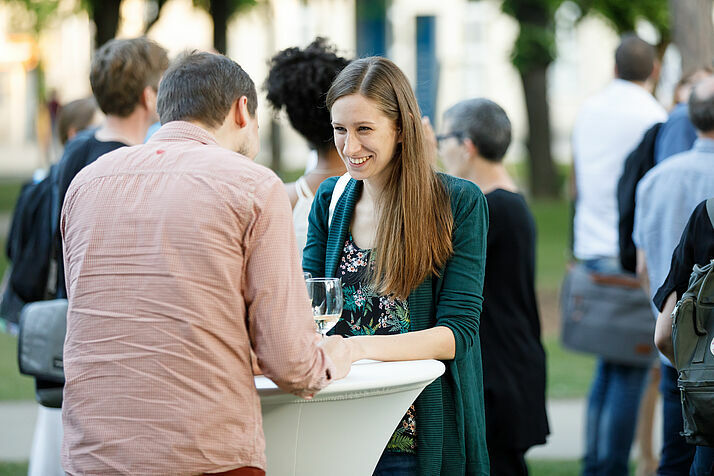 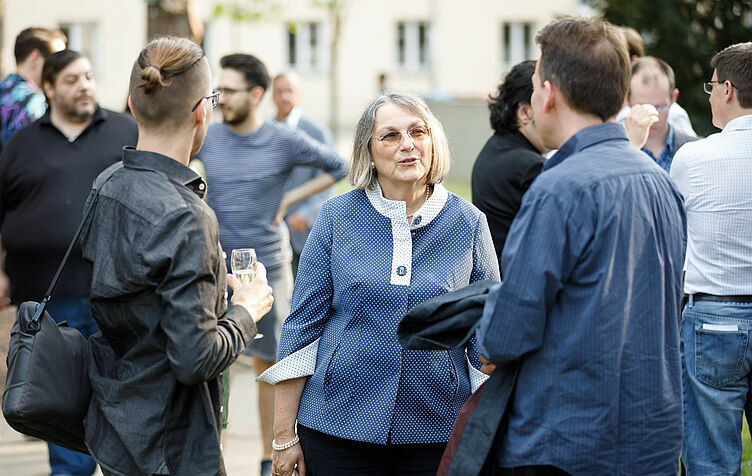 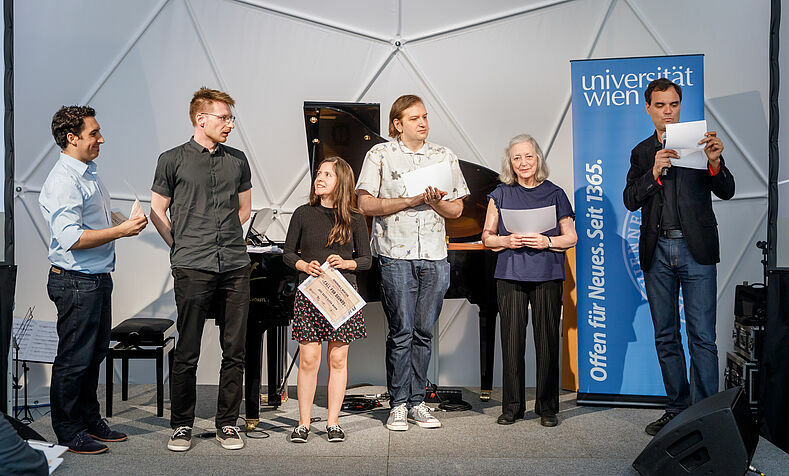 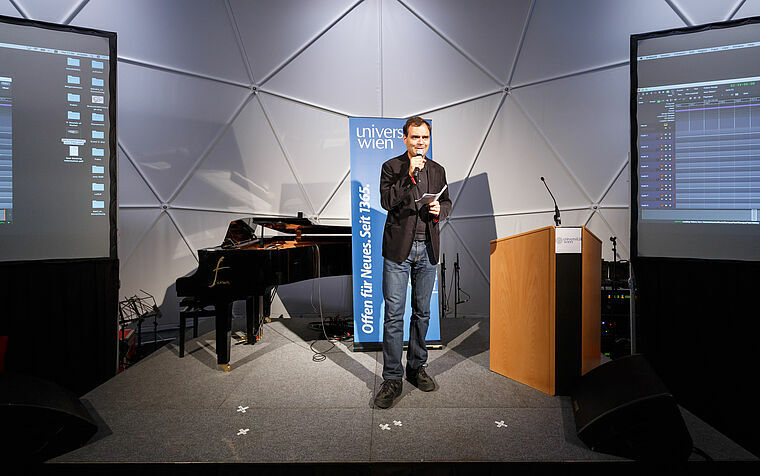 It was a call for composers from all over the world to find inspiration in the audiovisual material (images, animations, graphs) provided by the researchers at the University of Vienna. 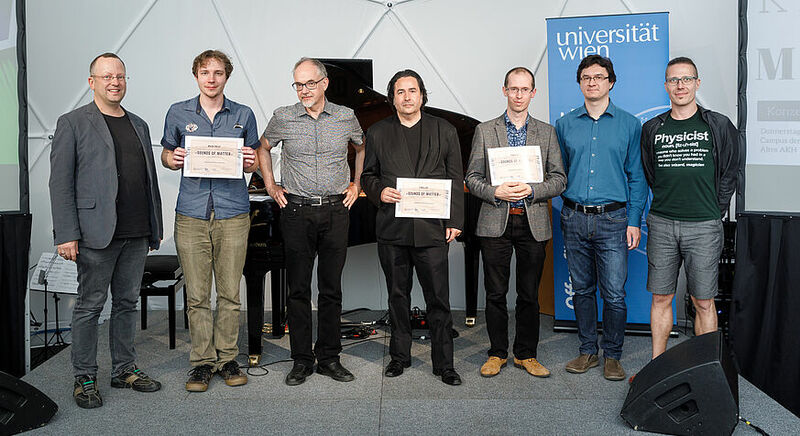 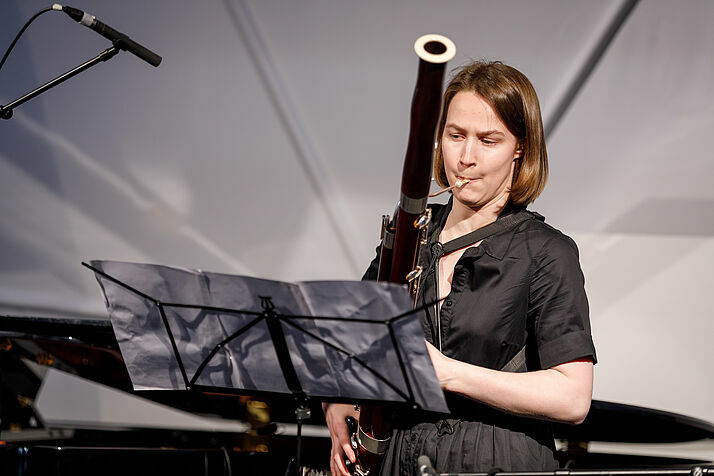 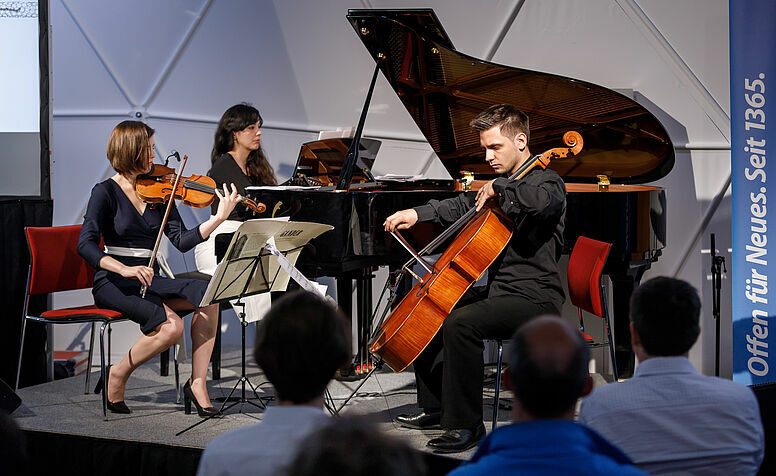 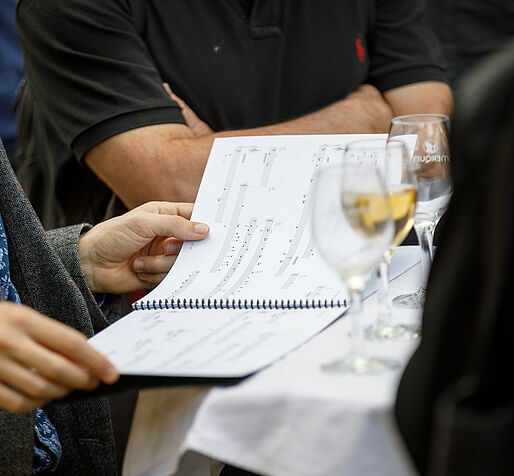 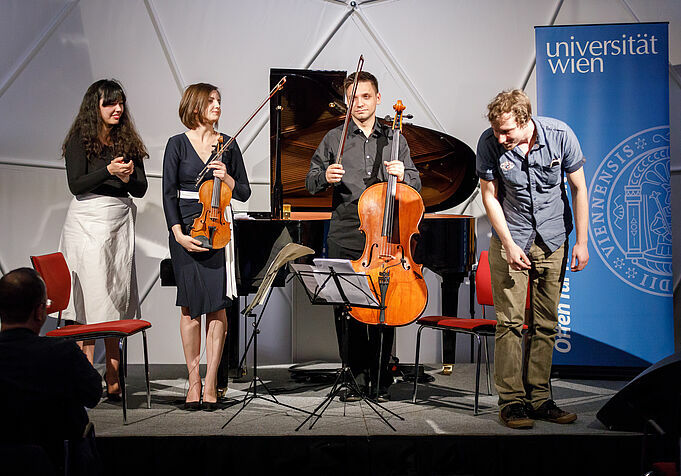 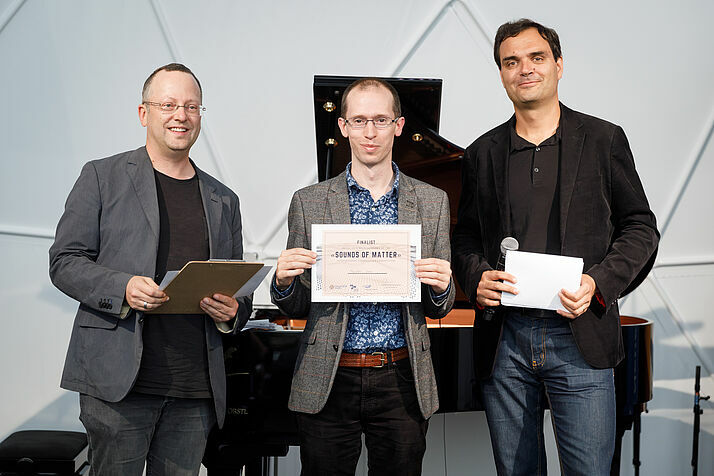 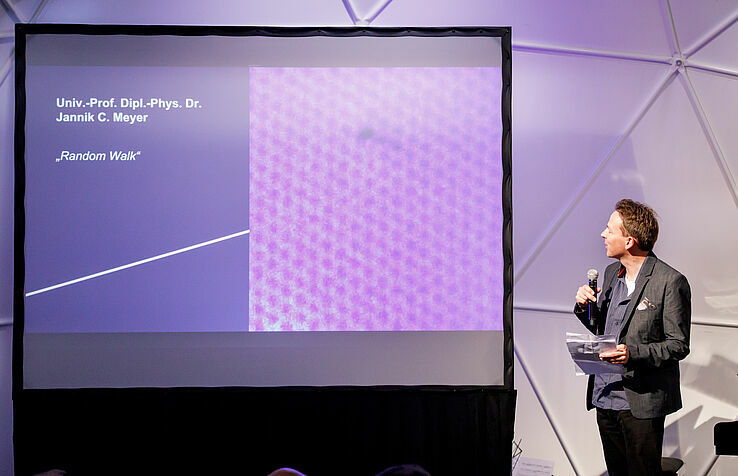 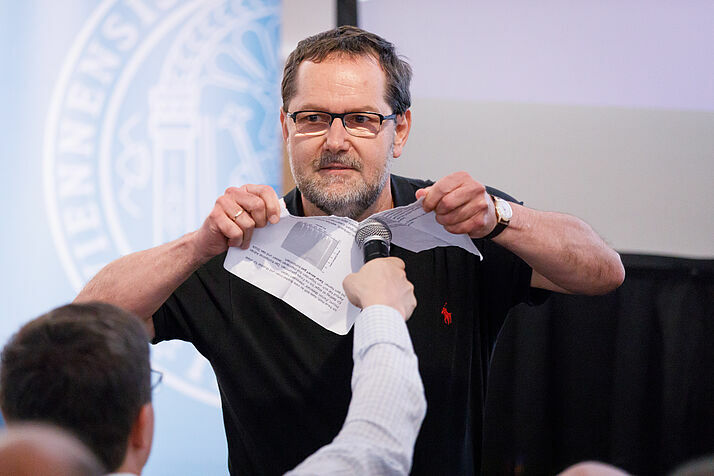 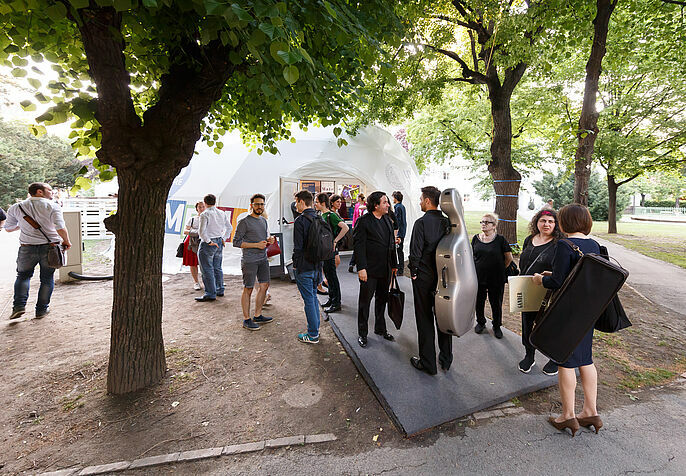 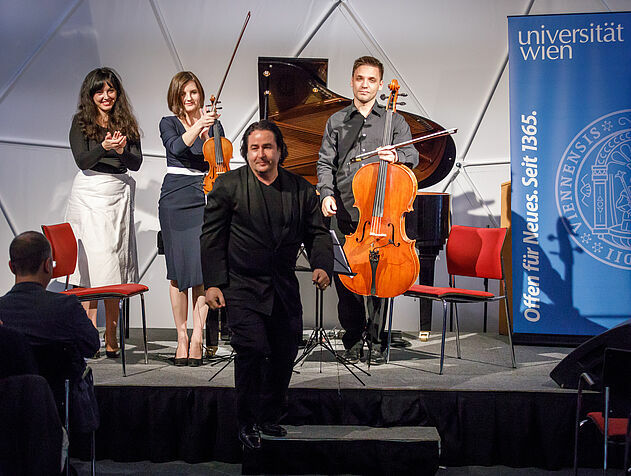 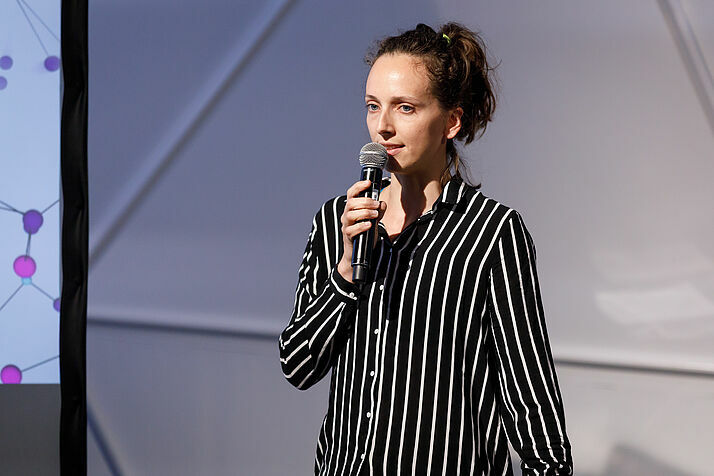 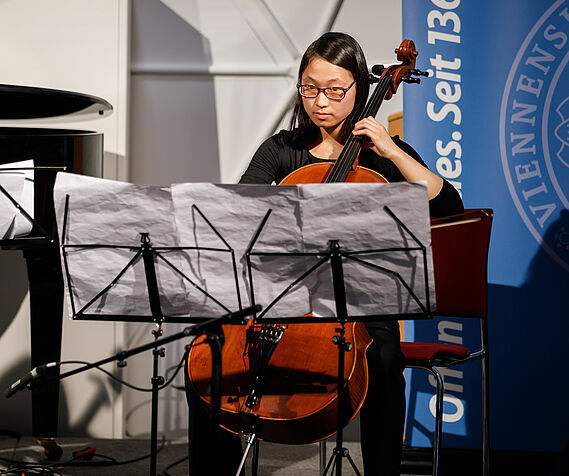 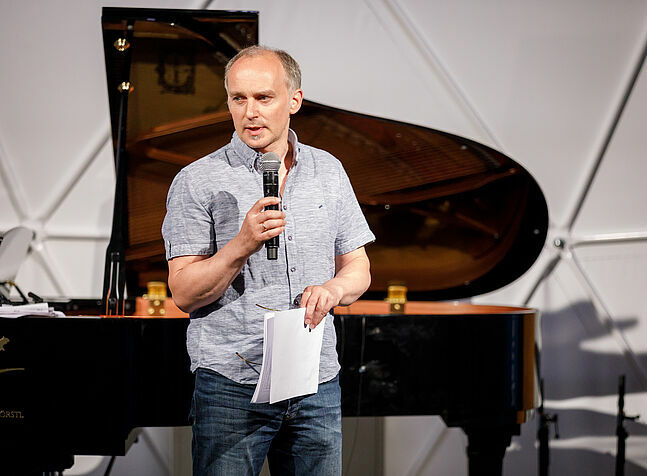 A jury made up of composers and physicists would select the pieces that best translate into music the latest findings in material science, therefore encouraging composers to find creative new ways to convey scientific ideas through music.